I’m sorry it’s taken me so long to get back here. Between graduation, getting the new blog ready and my recent trip to Italy and Switzerland, I needed to break away. Please head over by clicking here. Did you miss part 1, part 2 or part 3? When talking about body image nowadays, people assume that the media has something to do with it. I know personally the media had nothing to do with my eating disorder so I thought that I’d try to ask people about their experience with eating disorders and how the media played a role in that experience. That was my experience and one that’s been echoed in this study among the 39.2% of respondents who either have or have recovered from an eating disorder. That’s a large number and to make things worse, another 38.4% of women have known someone close to them who’s struggled meaning that 3 out of 4 women have been affected by eating disorders in some way. Six percent preferred not to answer this question and while direct assumptions can not be made, guesses are that the question was an emotional topic for them maybe because they’re in denial themselves, are helping someone now or have lost someone from this disease. Conclusion: What does this tell us? What can we do about it? The cycle of negativity, disordered eating and eating disorders can also trickle down from mother to daughter and media to consumer. “Because I think confidence comes from within. My negative body thoughts originated because my mom is constantly on diets and unhappy with her body, so she passed that self-hating attitude to me and was always telling me to go to the gym, not eat dessert, etc. Yes, I look in magazines/movies and used to see the image of what I wanted/felt like I should be and it hurt even more, but that was only a contributing factor, not the main cause. When I beat my ED, I didn’t stop reading magazines, I simply stopped comparing myself and cut out the negative chatter.” Across generations, body issues have been a problem and if our mothers are showing their daughters these behaviors, they’re ultimately going to follow. Likewise, we continue to tell other women they aren’t good enough, they will feel that stress. Because of this, instilling prevention programs at a young age (middle school and older) to women to learn about media literacy and also proper nutrition is key. Nutrition is really a glazed over topic in health classes in middle school and high school that just show the food pyramid. While this is a start, it doesn’t tell women why we need certain foods or even other options if you follow different lifestyles like vegetarianism or veganism. Obviously in a health class, they cannot get into too much detail, but it’s been said that many women try a vegetarian diet or even vegan to just be able to cut things out and in turn, eat less. That only starts a downward spiral. Along with that, media literacy in a health class would be recommended because health is not just physical health, but mental health. If we can talk about airbrushing and some of the standards prevalent in society, girls may be able to grow-up trying not to compare themselves to a standard models and celebrities can’t even achieve. For magazines, the primary thing I would recommend would be to start using a diverse set of models interchangeably in the pages. There are always the “size” issues, but those just further show that seeing different sizes can only be a special occasion when it should be the norm. If we show women that they can grow up and be whatever size, it won’t cure eating disorders, but it won’t be a trigger and certainly will lessen body dissatisfaction and negatively comparing each other. Is it so bad to tell someone they’re beautiful? I don’t think so! All done! I can’t believe this project is complete- or at least for these immediate purposes. This last section is what’s really pushing the new blog and I hope you guys enjoy that too. Was there anything you were surprised about reading or that you learned? PS: I can’t wait to launch the new blog, but it still might be under construction. I have some general things but my friend is helping with illustrations and I don’t know when she’s going to be done. A formal announcement will be very soon!!!! Miss part 1 or part 2? Along with the media, there are advertisements. I wanted to see what women said about the images they saw to get a better understanding of how they perceived the models. 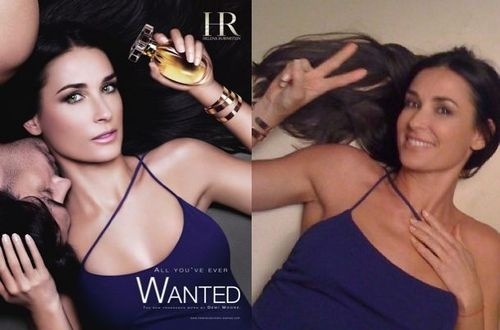 In the survey, there were three advertisements that were shown to the respondents- one ad of 5 plus-sized models, one of an ad that was shot with one straight-sized model and one plus-sized model and one of Demi Moore in an ad with a picture beside it of her naturally. 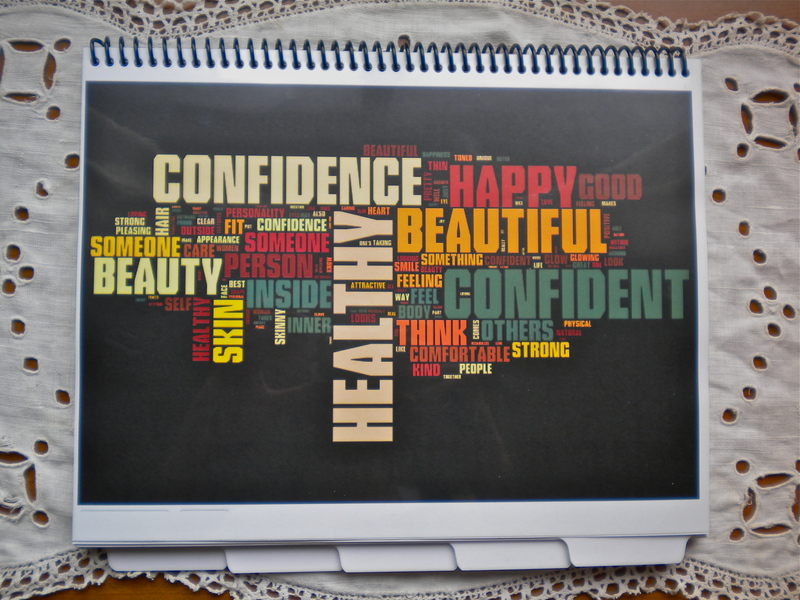 With or without an experience with eating disorders, the responses were close to the same. There were two types of comments, ones that said they were beautiful and looked normal so that probably meant they were plus-sized models and ones that commented that they had on too much eye makeup and looked bored, sad, and aloof. I found these comments surprising since I was afraid there could have been a slight bias with the questions that proceeded. We’ve been talking about body image, eating disorders and the media and while some did pick up on the fact that they were plus-sized models without a prompt, most were so concentrated on their eye make-up and how they showed themselves. Many called them “beautiful” and said that they saw themselves being represented which actually made them feel good. Which leads to the second photograph, which was a set of photographs of Demi Moore. The one on the left was of her airbrushed for an advertisement and the one on the right was her naturally at that photo shoot. About 75% percent of women said they like Demi Moore naturally (on the right) then her airbrushed. Maybe magazines and ads should use less airbrushing and less fake looking people? I’m not sure what the respondents were thinking since I didn’t get written responses from this question, but it’s clear that people love the natural look which is good for Marie Claire since they recently did a whole spread on Jessica Simpson un-airbrushed this past month. The last set of photographs was with two models, the one on the left is straight-sized and the one on the right is plus-sized, but to me, this was the most telling. It was too close to say which photograph was preferred the most or which way the industry should take to advertise to women. Women loved the left (49.9%) just a fraction less than the left (50.1%), which was actually a different of only one person! So while this didn’t make a huge conclusion on the surface, it brought up the fact that whether a company uses a straight-sized model or a plus-sized model, it will give the same reaction- half will love it and half won’t. I don’t discredit this study or say that their findings were wrong, even though I found a few flags in the study write-up itself, but based on my survey, their findings didn’t hold true. Like the previous set of photographs, I do not know the actual feelings of the respondents since it was only a “left” or “right” question, but that also makes the answers more definite. Researchers have tried to answer the media’s involvement with women developing negative relationships with their bodies, but in my opinion and one that was found through this study as well, the media plays a heavier role in creating body dissatisfaction and disordered eating habits, like some that are presented in the pages, rather then eating disorders themselves. That’s where the media has to watch how it speaks to women and also what they are teaching. Our media has grown in great strides over the past 10 years with magazines, the internet and social media platforms, but with all of this growth, media literacy has not followed so you have women growing up with these messages, but they’re not able to discern what’s good for them or what’s bad. Ok, here it is! I promised I’d share some of the results I wrote about for the end of my study book so here it is. I think after you read it, you’ll understand why I’m launching the new blog and what it means to me to do so. I’m going to split it into sections, since it’s about 7 pages and I wouldn’t expect anyone to read all of it at once. If you have any questions or want the actual quantitative summary of just the numbers/statistics, feel free to email me. Also, just for your information, I want to give you some facts about our average respondent. She ages between 18-24 (42.5%) and 25-30 (40%). She’s white (94.8%) and non-Hispanic (96.2%). She probably lives in the Northeast (33.2%); however, there was a good sampling between all other regions of the country- Mid-Atlantic (12.6%), South (19.8%), Midwest (16.8%), Southeast (4.2%)and West (13.4%). Whether she’s single (30.7%), in a relationship (39.2%) or married (28.8%) is unclear, but she does not have kids (93.7%). Seventeen. Glamour. Cosmopolitan. Women’s Health. Allure. Fitness. TeenVogue. Elle. Vogue. Oxygen. Runner’s World. With all these titles and many more, it’s was no surprise that 79.5% of women said that they read magazines on a regular basis, which was characterized as 8 out of 12 months a year. The top five magazines read were Self (62.2%), Shape (59.8%), Women’s Health (45.7%), Glamour (41.2%) and Fitness (41.6%). It was close, but 52% said that the magazines they read do not represent their idea of beauty; however readers of the top 5 primarily said that they did. There were some suggestions for these magazines, even the top 5, which included more realistic and more diverse approaches to beauty. “It’s so focused on the outside. You read an article on making ‘body peace’ and ‘loving yourself,’ but then two pages later there’s an article on how to make yourself perfect if only you do these 8 simple moves and buy these jeans. It’s so contradictory,” said one respondent who reads Glamour regularly. She’s not the only one who feels this way. “Many magazines teach us that we aren’t ‘beautiful enough’ instead of showing us how we can appreciate who we are,” said one respondent who reads all of the top 5 on a regular basis. Some more suggestions included, “no airbrushing” and to see “models/people with cellulite, not the clearest skin, frizzy hair, etc…NORMAL people. Naturally thin, toned, curvy, etc.” But stating what the magazines do is not going to change anything because while the editors are great people, they’re also trying to get people to get advertisements and more subscriptions. However, it was shown that readers want to relate to the people in the magazines. Sensationalized gossip is fun every now and again, but regularly, they want to read the stories about their peers, about who other fabulous women around the world who are making a difference in their own lives or in others lives because that’s more inspiring. Now the question to them is “why do you still buy the magazines if you don’t agree with their content or practices?” But that’s for another survey. 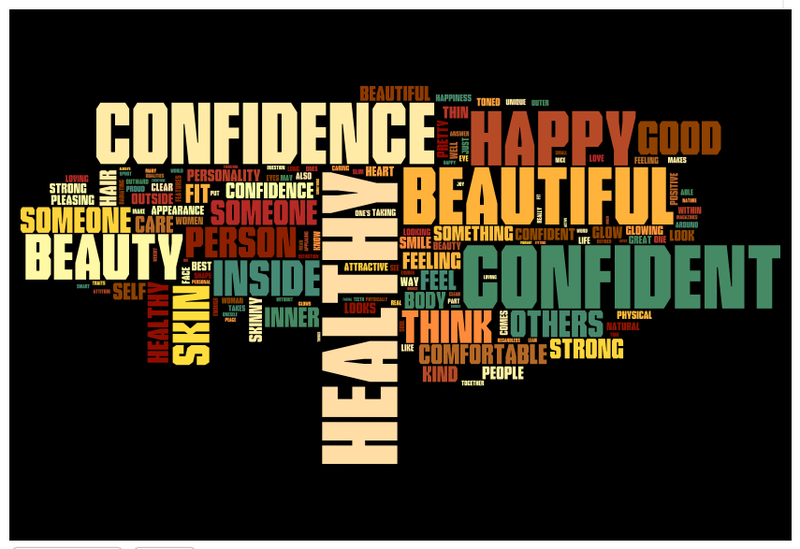 When asked how they felt about their bodies, only 19% said that they were happy with their body. Period. Another 6% said that they were generally happy, but would like to tone up a bit and gain more muscle or know they could eat healthier. That being said, 61% of women said that they think they could lose weight. I was very touched by the 1% who admitted that they are still struggling from an eating disorder and know that they should actually gain weight, but cannot see it for themselves at this time. We all have chapters in our life that we close for one reason or another whether it’s a relationship or school related. Right now, mine’s the latter, and while I’ve been waiting for this day for about 2 years, I’m also nervous. Thanks to this blog and all of you, I have figured out where my future goals lie and I’m so excited to share them with you. However, because of that, I’m now leaving the sweetest thing behind and am currently working with a designer for a new blog!!! From this study last semester, I’ve found that my passions still are heavily weighted in food (duh! 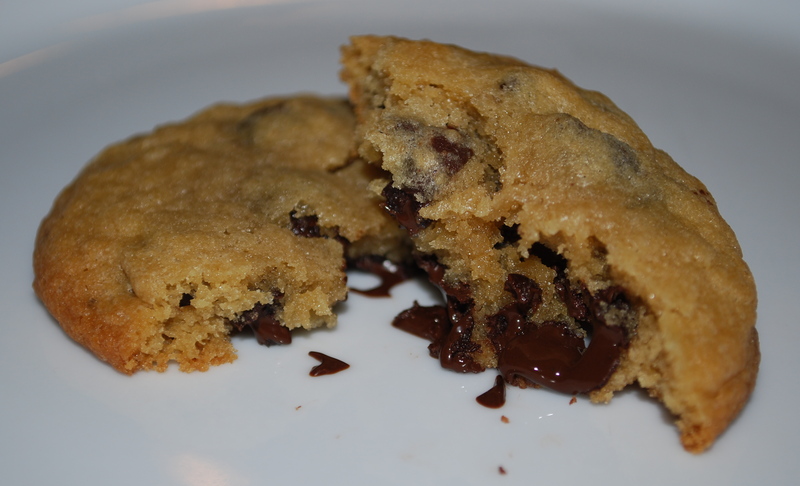 I went to culinary school), but in a healthy way promoting body image. I’d love to go into nutritional programming for young women to understand how food plays a role in their lives and that’s it’s more than the latest diet. Finding Peace in Chocolate is going to be that outlet for me. It’s going to focus on us building a good relationship with food physically, emotionally, and mentally so I’m going to share with you recipes that are great for those areas of our life- fruit, veggies, whole grains for physical health; chocolate for emotional health and then how to understand your body and it’s needs for mental health. Body image will still be something I talk about, but more from this angle than from fashion. I’m so excited to get back into the kitchen!!! From there, my plans are up in the air. I’m looking into grad schools (primarily Tufts) to possibly start next spring or fall in Nutrition Communication or Public Health, but until then I’ll continue to work at the restaurant, blog and take each day as it comes. Oh, and how could I forget this??? Because of my new purpose/mission, I’m also submitting a proposal for the Healthy Living Summit 🙂 Are you going? Maybe I’ll see you there…! Will you come to my new “house”? I hope so. Because I missed you tremendously. It’s amazing, I never though I’d be a blogger, but in the last 10 days that I’ve been too busy to even talk clearly, I’ve truly missed this outlet and all of you I keep up with. Nothing too exciting has been going on other than work work work before graduation. There’s only one take-home final between me and getting my diploma- yayyy! So what’s been going on with you?!? What exciting things have I missed?